Compare Gatwick Parking prices for every car park with a quick search. Find LGW airport parking to suit you. Book through SkyParkSecure & save up to 60%. Gatwick Car Parks score on average 9.8/10 based on 67817 customer reviews. 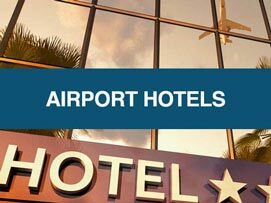 Let SkyParkSecure find you the best deals and cheapest parking at Gatwick Airport. Our search engine will find you a choice of long stay parking, short stay parking and valet parking, at both Gatwick's North and South terminals. Plus every Gatwick car park that we promote holds a review score from a real user. Whether you are flying from Gatwick North or South terminals, SkyParkSecure have the perfect parking space for you. No matter what your needs are when it comes to booking an airport parking operator, SkyParkSecure has a huge range of options to suit you. 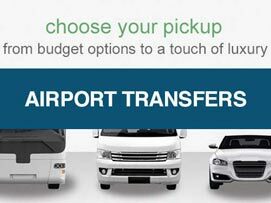 From the cost-effective yet extremely secure off-airport car parks that are located close to the airport itself. 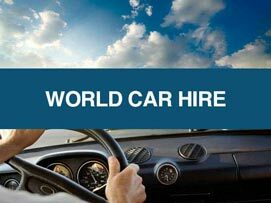 To our extensive selection of Gatwick valet parking companies, we can provide a safe and cheap parking solution for all purposes. All the car parks listed service both the Gatwick north terminal and south terminal. Please note: These prices are accurate at the time of writing for a 5 day stay in November. Prices are always subject to change according to availability on the dates you require and price fluctuations throughout the year. The Airparks meet and greet service and the maple manor meet and greet service are currently unavailable. Gatwick has a North and South Terminal. If you are unsure which terminal you are departing from or just want the latest status information for flights, you can check your flight on the Gatwick Airport live status board. 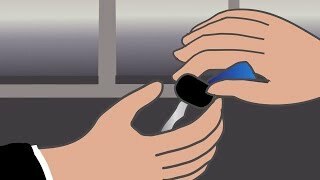 If you are unsure of what the Gatwick Airport security controls are, and what you can or can't take on the aircraft, then please refer to the detailed instructions provided by Gatwick Airport security. You can amend your Gatwick Airport booking up to 24 hours before at no cost. Amendments made with less than 24 hours notice will incur a £5 amendment charge. The price could change if the dates and times differ from the original booking. You cannot change a non-amendable, non-refundable service as per our terms and conditions. All Gatwick Airport car parks promoted through our site are extremely safe. They offer high levels of security, with advanced CCTV systems, electronically controlled entry and exit barriers, and 24/7 walking patrols. Meet and Greet parking at Gatwick is where your car is collected from you outside the terminal. Parked in a secured car park by a driver. Brought back to the terminal on your return from holiday. If I have booked meet and greet parking at Gatwick, what do I do on the day? The meet and greet parking process couldn’t be simpler. On the day of departure, simply give your chauffeur a call about 20 minutes prior to your arrival at your airport terminal, and then proceed to the relevant pick-up point with your booking confirmation/reference. Your valet parking attendant will then take the car to a secure car park and you’re free to head to check-in. If I have booked meet and greet parking at Gatwick, what do I do once I return from my trip? Is meet and greet parking available for both North and South Terminal at Gatwick Airport? Yes, meet and greet parking is available at either terminal. In both cases, follow the signs for passenger drop-off and ensure that you remain on the lower level. For North Terminal, proceed to the far end of the pickup point, keeping the multi-storey car park entrance on your left and the Sofitel Hotel to your right. For South Terminal, proceed to the end of the tunnel and park your car on the left. What if my flight back to Gatwick is delayed and I overrun my parking time? Please contact Customer Services on 0345 4599 250 or email through our contact us page with your booking reference. Located around 28 miles south of London, Gatwick is directly connected to the M23 at junction 9, so this is the easiest way to reach the airport for most people. You can approach the M25 from the north via the M40, or the M1 from the north east, and then drive west before joining the M23 at junction 7. If travelling to Gatwick Airport from the south, take the A23 northbound until you reach the M23. From the south east, take the M20 west towards London, then on junction 3 join the M26, before joining the M25 at junction 5. Continue on until you reach the southbound M23 at junction 7. Join the M25 using the A13 or M11, then head south towards Dartford. Continue through the Dartford Crossing and join the M23 at junction 7. Take the M4 east towards London and then the M25 towards Gatwick Airport, joining the M23 when you reach junction 7. If arriving from the south west, take the M3 and then join the M25, travelling east until junction 7. To make sure your flight is as stress free as your car parking experience with SkyParkSecure, follow our handy check-in guide. For both the North and South Terminals, check-in is located on level 2. To find your relevant check-in desk, check the flight information screens, but remember that if you’ve checked in online you can go straight to the departure lounge via security. Some airlines allow self-service check-in at that particular airline’s kiosk, saving you time once you arrive. With self check-in, you will be able to choose your seats and print out boarding passes and luggage labels before heading over to baggage drop off. Most airlines also offer online check-in, so you can get this little job out of the way before you even set off and head straight to luggage drop-off. Please note that no flight calls are made are made at Gatwick Airport, so keep your eye on the flight information screens for information on boarding times, gate numbers, delays and cancellations. When you arrive at Gatwick Airport, there are two different car parking options that SkyParkSecure offers. We’ve outlined both below so you can decide on the parking deal that’s right for you. You will be able to find parking at the north and south terminal. If you’re looking for cheap Gatwick parking services that are safe, secure and convenient, park and ride is the way to go. Simply park your car in your designated car park and then catch a quick, complimentary bus right to North or South Terminal. Just a short 15 minutes transfer bus. It’s as simple as that! Valet parking, also known as chauffeur or meet and greet parking, is a parking option that saves time and minimises stress once you get to the airport. Simply call your chauffeur once you're about 20 minutes away from North or South Terminal and they will meet you at a convenient drop-off point, before parking your car in a safe and secure location. The bonus of booking Gatwick Airport parking through SkyParkSecure.com is that you’ll always pay the cheapest price. We guarantee to give you a lower price than our competitors with our Price Check Promise. Park Mark is a national standard for UK car parks. It shows they have low crime and measures to ensure the safety of customers and their vehicles. Make sure your Gatwick Airport car park or meet and greet service meets the required standards. 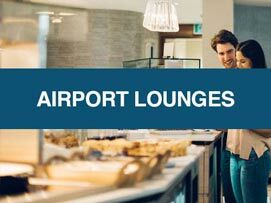 Escape the rush by enjoying an airport lounge inside Gatwick Airport.